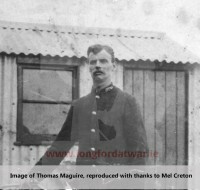 Thomas was born in Curry, near Stonepark/Ballymacormack, on the 10 April 1882. As a teen, Michael worked as a postman in Co. Longford, but by 1911 he appears to have been working as a railway porter in Mullingar - during the war, the Irish Guards tended to recruit from public professions, such as postmen, railwaymen and RIC constables. Thomas likely entered the war at the end of 1915 or after 1916. 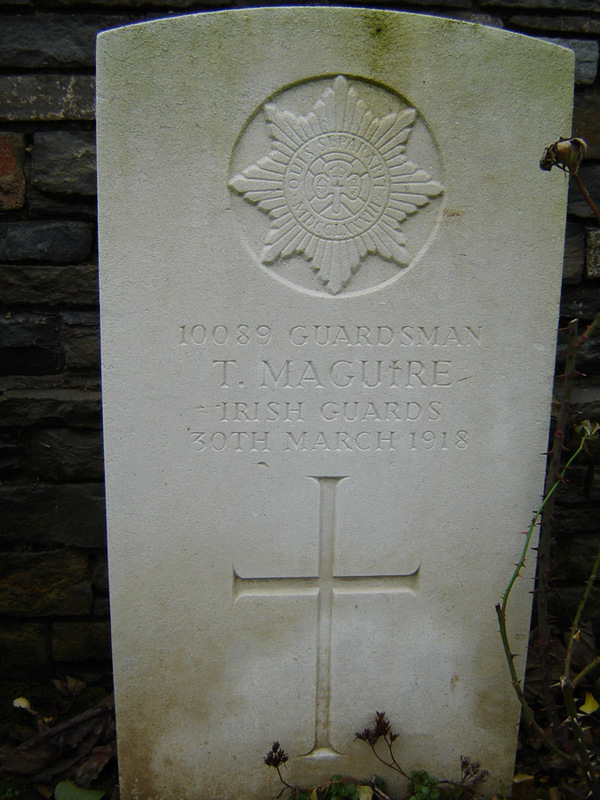 He was serving with the 1st Irish Guards at the Somme during the German Spring Offenisve of 1918. Rudyard Kipling wrote: On the 30th March the attack rolled up again from the south where it had met no particular encouragement, and barraged the Battalion’s sector with heavies for a couple of hours; causing forty-two casualties among the men and wounding Lieutenants Stacpoole and Bagenal. Son of Michael Maguire and Mary (née Rawl) of Clonturk, Ballymacormack. *The Commonwealth War Graves Commission gives his age as 40, but he was likely younger than that.